ACT Sport and Recreation Minister Yvette Berry with (from left to right) UC Capitals head coach Paul Goriss, vice-captain Kate Gaze and captain Nat Hurst. 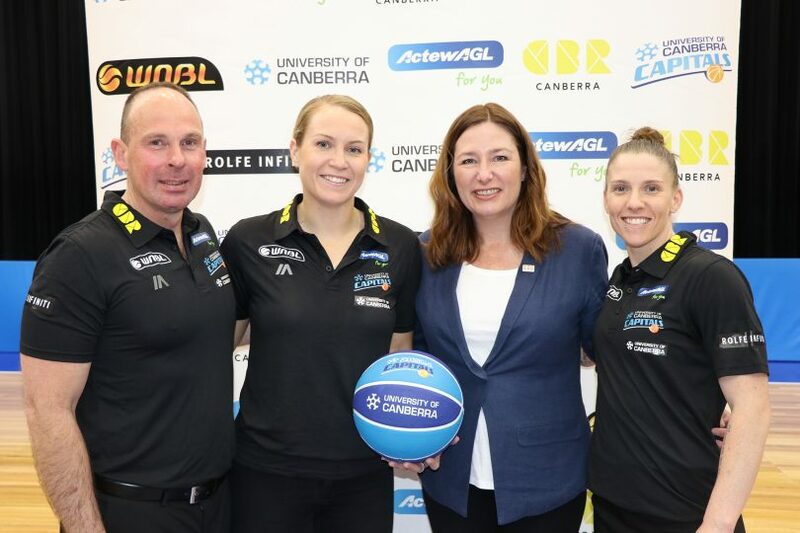 Canberra’s elite women’s basketball team, the University of Canberra Capitals, will take to a new home court in the National Convention Centre for the first time this Friday night. In a move that promises an outstanding experience for basketball fans, the Capitals will be able to play their home games in a theatre-setting with a new quality playing surface. Known as Canberra’s most successful women’s sporting team, the Capitals will bring their sporting prowess to the Royal Theatre section of the convention centre – a venue right in the city’s heart. Refurbishments at the National Convention Centre this year have further increased the flexibility and diversity of the spaces. Photo: supplied. 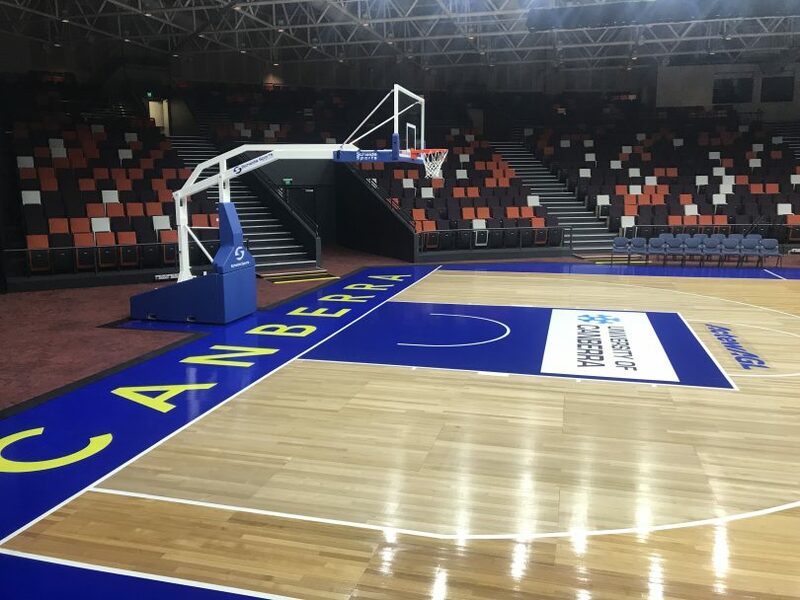 ACT Sport and Recreation Minister Yvette Berry said the ACT Government had supported a proposal from the Capitals to activate the National Convention Centre for WNBL games. The games will be at the new venue for the duration of the upcoming season. “It is the start of a most exciting WNBL campaign for Head Coach Paul Goriss and his talented squad, a campaign that tips off in a new home venue unlike anything seen before in Canberra,” Ms Berry said. “We have worked in partnership with the UC Capitals and venue management to deliver a quality playing surface in a theatre-setting that will not only be excellent for players, but outstanding for spectators. “With the game now only days away, it has been a long and complex process to get to this point, with numerous challenges overcome to put a sports court into a venue more accustomed to concerts and conventions. Ms Berry said the ACT Government continues to be a major backer of the UC Capitals, both through support for this project at the National Convention Centre and their continuing sponsorship of the Capitals program in a broader sense. “I hope that both the best home court and the loudest home crowd in the league can get our Caps off to a winning start in their 2017/18 WNBL campaign,” Ms Berry said. Are you a basketball fan? If so, are you excited about watching the UC Capitals play in this new venue in the heart of the city? Let us know your thoughts in the comments below.